· All excursions will leave from BARBERTON MUSEUM where you should register and collect your name tags and tickets BEFORE the stated departure time. · For further information on the various activities, please also refer to the ADDITIONAL INFO DOCUMENT and HERITAGE WALK Leaflet. · To assist with gate crashing problems, please ensure that your name tags and tickets are on your person at all times. · Barberton can get extremely hot so please remember your hats/sunscreen together with mosquito repellent, rain coats, sensible boots/shoes/torch for Bray’s Golden Quarry, Crocs /gumboots, etc., for gold panning and to have water available at all times. · Visitors arriving on Wednesday are invited to the LONE TREE SHELLHOLE to meet our knowledgeable and hospitable local MOTHS. Lots of interesting photographs and war time memorabilia. Evening · Most guest houses will provide evening meals by prior arrangement and GENESIS, a recently opened restaurant in Pilgrim Street, is another option. · Stunning scenery and indigenous plant identification: medicinal and other uses. · Includes transport and packed lunch. TRADITIONAL SWAZI COOKING DEMONSTRATION (Max 20 pax) FOLLOWED BY LUNCH in the garden of the Fountain Baths Guest Cottages . Professors Morris and Richard Viljoen are twin brothers and internationally recognized geologists who discovered KOMATIITE in the Barberton area almost 50 years ago when they were students studying for their PhD in geology. This discovery paved the way for the recent declaration of the BARBERTON MAKHONJWA MOUNTAINS AS A WORLD HERITAGE SITE. 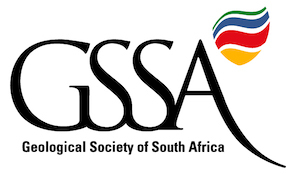 (Morris and Richard are also recipients of the Draper Medal, the highest award of the Geological Society of South Africa, the Lindgren Award of the Society of Economic Geologists of the US and past presidents of the Geological Society of South Africa). 09:15 to 09:30 BARBERTON : WHERE IT ALL BEGAN – Chris Rippon – Chairman – Friends of the Museum. (Roger Fisher is Professor Emeritus at the University of Pretoria and an expert on historic architecture . He is one of the great figures of architectural writing, criticism, research and education in South Africa and was the recipient of the 2010 Writers and Critics Award from the South African Institute of Architects and the prestigious HASA 2013 Gold Medal Award). · Join the Pettigrew’s Road Transport Route and retrace the footsteps of Percy Fitzpatrick and his famous dog JOCK. Stop off on the way back time permitting for some liquid refreshment and to check out the GENAL wall paintings and the hanging tree where horse thieves and claim jumpers are said to have been hanged by lynch mobs. Conrad Frederick Genal was a German wandering artist, born in 1875, who left the French Foreign Legion and made his way through Africa earning his keep by the painting of wall murals. *Professor Fisher co-authored the groundbreaking publication NZASM Footsteps Along the Tracks – published in August 2017- with former student Nicholas Clarke. The NZASM was a Dutch company that constructed and operated railway lines in the former Transvaal Republic during 1887–1902. **Dr Haarhoff has carried out extensive research on the old wagon trails and transport routes and has recently published a book on the subject entitled Forgotten Tracks and Trails of the Escarpment and the Lowveld. GEOTRAIL (Suitable for ALL and ordinary vehicles). (Ancient rock formations that date from the Archaean period, more than three billion years ago. There are very few places on earth where rocks of the Archaean period are visible but in Barberton they are right next to the road! · Depending on numbers, it may also be necessary to split into groups and use additional guides. 3 OPTIONS ARE AVAILABLE to accommodate various departure times and visitors who are staying overnight (Driving times indicated are leisurely and allow for stop offs and delays. The distances involved are not great). The GOLDEN QUARRY, discovered by Edwin Bray in 1885, is considered one of the `Mining Wonders of the World`. It was said that when it was first discovered the rocks looked as if they were cemented with Gold. The Golden Quarry was the site of one of the richest gold strikes ever producing an initial50 tons of rock grading at 250 grams per ton! The extensive underground quarry, made by men armed only with a pick and shovel resembles a great subterranean Cathedral. Bray`s Golden Quarry is a true testament to the blood, sweat and tears of those who lived during Barberton`s Gold Rush Era. Sheba Mine continues to mine the gold from Bray`s Quarry and is one of the oldest and richest mines in the world. EUREKA CITY, a small ghost town, was established in 1885 following the discovery of the famous “Golden Quarry” by Edwin Bray. It is located 20kms from Barberton and in 1886 the town had three shops, three hotels, a bakery, chemist, racecourse, music hall and bars to cater for the diggers in the area. There were also 28 pubs on the route from Barberton to Eureka City. Maneuvering ox wagons laden with supplies up the steep, mountainous, terrain was extremely challenging and wheel ruts etched deep into the rock face can still be seen in places today along with the ruins of the Victoria hotel and smaller ruins. EVENING Due to the lack of restaurants open on a Sunday evening, it is recommended that prior arrangements are made with the relevant Guest Houses for dinner. From Gauteng, turn right off the N4 just after the MILLY’S stop off at the SECOND Macadodorp turnoff just before the Toll Gate. Follow the R541 towards Badplaas then turn left at the T-junction on the R38 to Barberton. When approaching Barberton, turn RIGHT into SHEBA ROAD at the SECOND Barberton sign which is a 4-way stop. (Kaapmuiden is to the left and the Swaziland border straight on).